BEND, OR -- Two women were assaulted in an apparent road-rage incident, Friday night, near Brookswood and Reed Market Road. 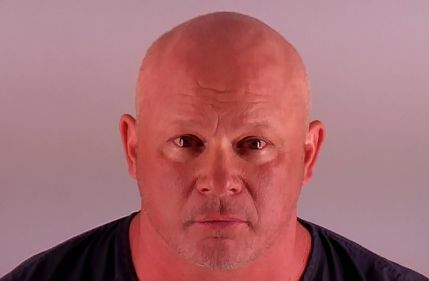 When Bend Police arrived, they found the two lying on the ground with 49-year-old Jay Barbeau, of Redmond, allegedly trying to leave the scene. Investigators believe the incident began on Bond Street, when 26-year-old Lucinda Mann pulled in front of Barbeau. They say he followed Mann's car until she stopped, smashed her window and attacked her and her passenger. Barbeau is accused of Second and Fourth Degree Assault, Criminal Mischief and Reckless Driving. Mann and her passenger were taken to St. Charles Bend with non-life threatening injuries. Barbeau was also treated at St. Charles for minor injuries prior to being booked at the Deschutes County Jail.